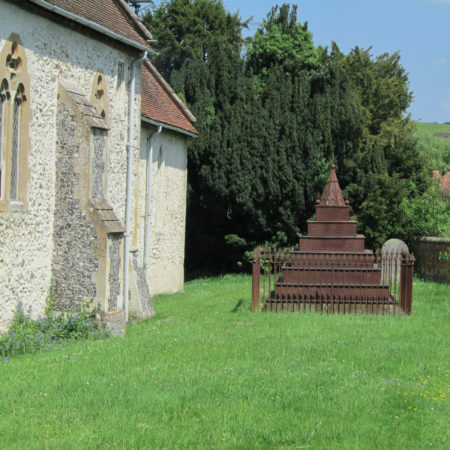 Behind the church, another monument demands attention. 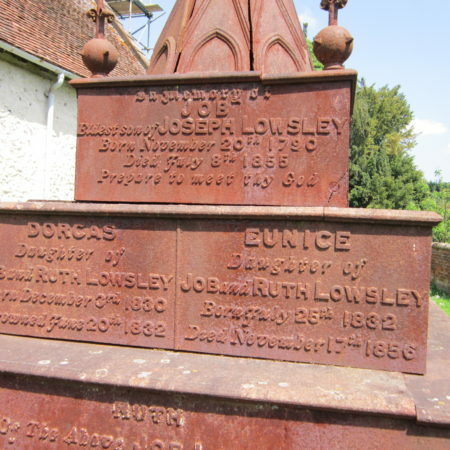 Bright orange with rust, it is a cast iron square-based pyramid to the Lowsley family. 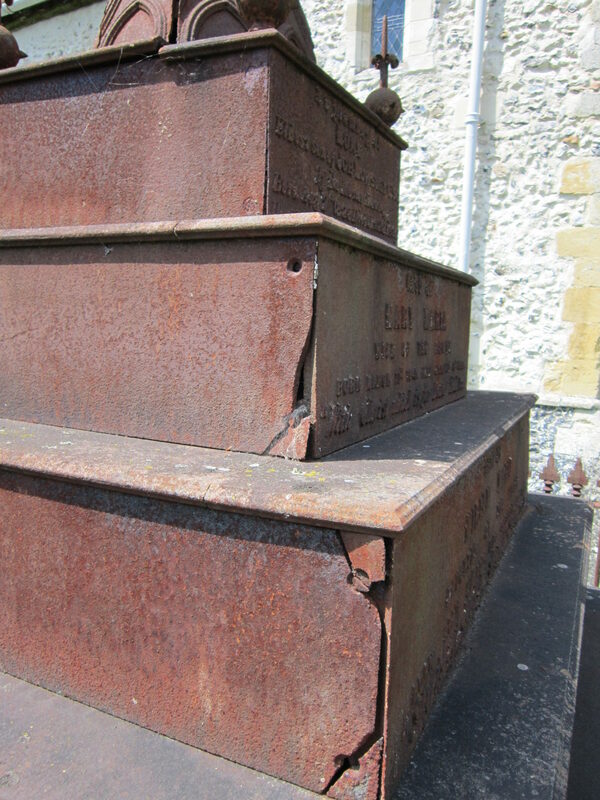 Each of its seven steps was designed to carry one or more individual dedications, though not all the spaces were used. 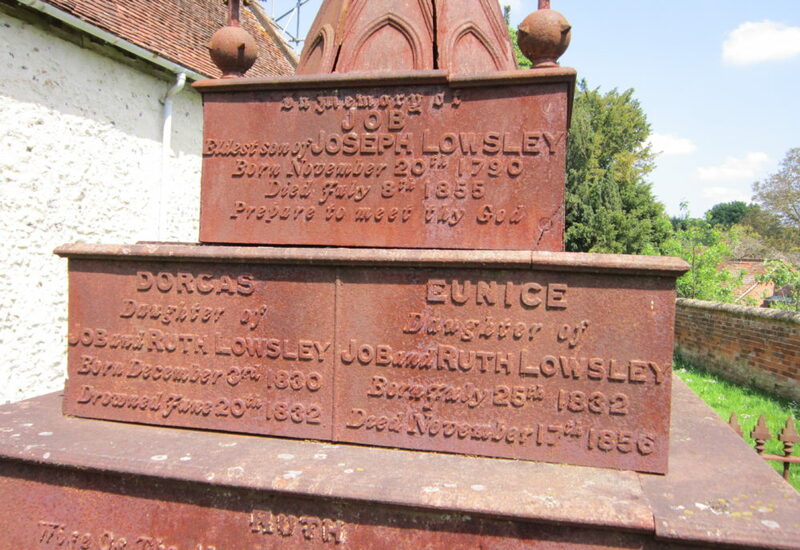 Unlike a stone monument, a new inscription panel had to be cast each time a person died. 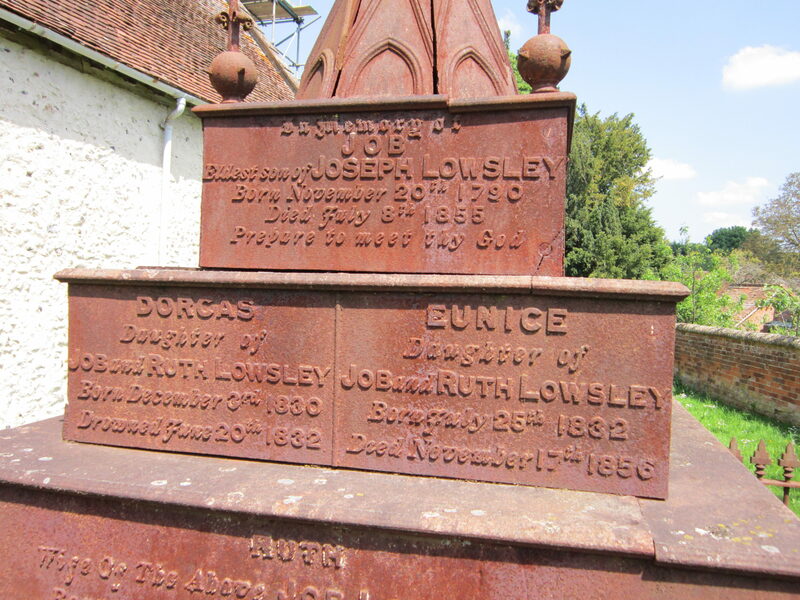 The first person commemorated was Job Lowsley (1790-1855), son of Joseph; the last family member recorded died in 1947 – almost a century of family history. But in common with stone, cast iron is not indestructible. 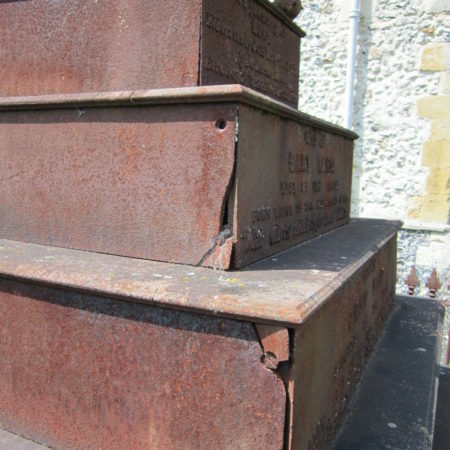 The third photograph shows that the south-east corner of the pyramid is splitting. 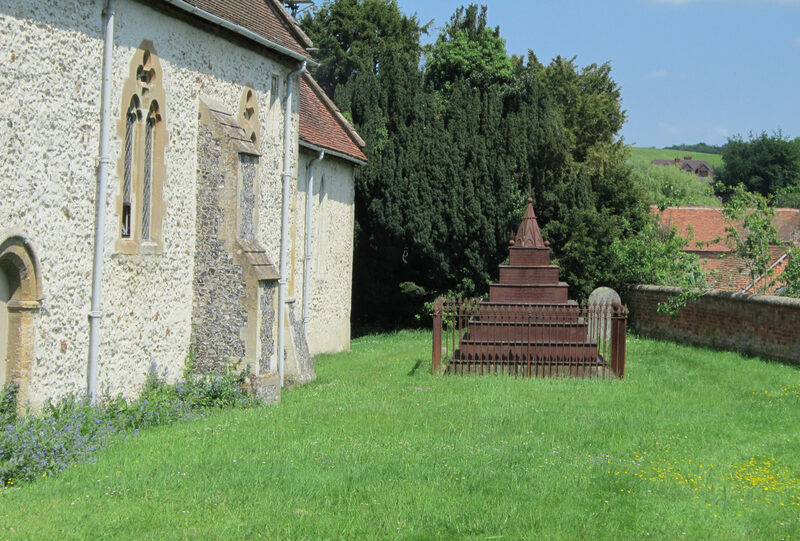 This remarkable monument is in urgent need of conservation if it is not to collapse.